Save Event: Exhibition "Summer Dreams"
Two Central St. Martins graduates Lucille Clerc and Rosha Nutt who've found critical acclaim and a strong base of followers in the UK and abroad exhibit their newest work at Stoke Newington's "Yellow Warbler". 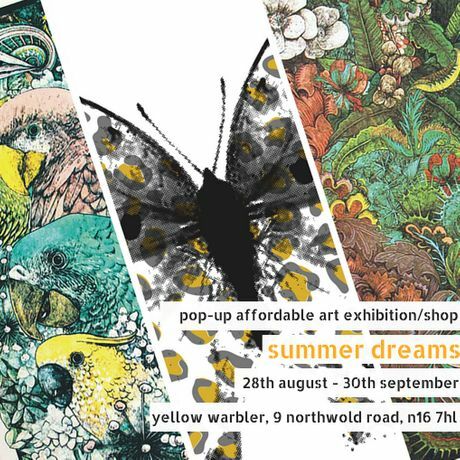 Summer may be almost over, but with our latest exhibition “Summer Dreams” we invite you to enjoy it a little bit longer, embracing the colour, nature and a little bit of magic it offers through work of two incredibly talented young artists Lucille Clerc and Rosha Nutt. Both artists have graduated from the renowned Central St. Martins and over the years have built the names for themselves and strong fan base in the UK as well as abroad. Lucille clerc is a london-based French illustrator who hand-crafts her work from drawing to screen printing. Her technically exquisite illustrations are created by drawing the layers straight onto tracing paper, which she then exposes on to screens to print. This technique makes each print unique rather than a reproduction. 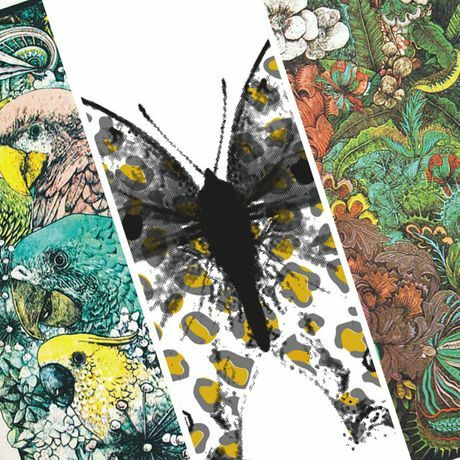 The work on display are her illustrations inspired by Rudyard Kipling's book "Mowgli's brothers", however her iconic London landmark museum illustrations can be purchased from artsnug online store. Rosha Nutt's work is heavily inspired by pop art, especially the bold, graphic works of Roy Litchtenstein, Andy Warhol, Bridget Riley and Damien Hirst. Her natural flair has been further influenced by her background as an art director working with some of the world's biggest luxury beauty brands.